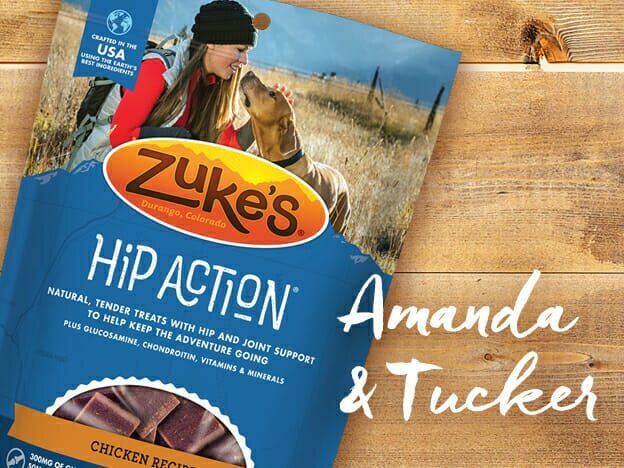 In 2013, Amanda met the man who would become her husband and his dog, Tucker. It didn’t take her long for her to fall in love with both of them! At 75 pounds, Tucker loves to cuddle and isn’t afraid to push his way onto the couch or even a sleeping bag in order to be close. An avid adventurer, if you mention, “walk,” “fishing,” or just “outside,” he runs around like a puppy. Tucker loves the water and wrestling with other dogs so he’s a regular at the Durango Dog Park and any trail with a river or creek. 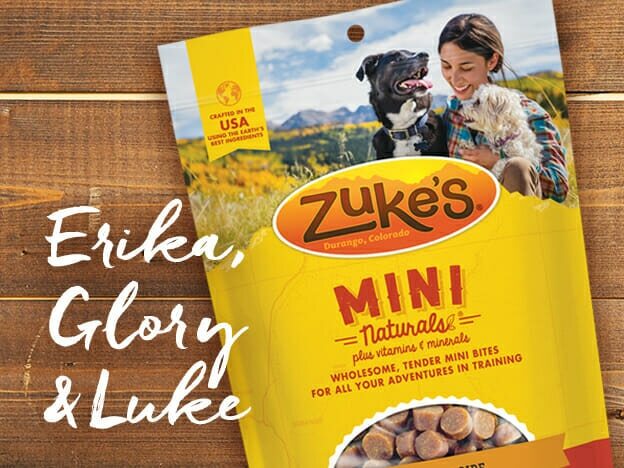 Erika went into her local Florida pet store to buy fish food and ended up falling in love with Luke at an adoption event. She says he looked like the saddest dog at the event, curling up at the back of a crate. 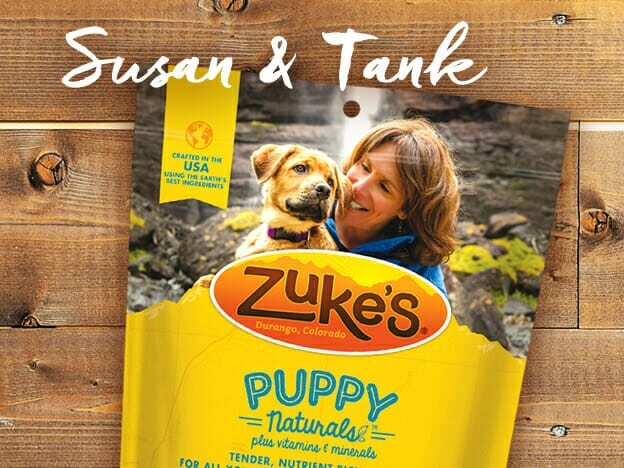 All that changed when Erika adopted him and Luke became “her best bud.” They moved together to Colorado and now Luke is a happy, energetic mountain dog who loves long walks, hiking the Colorado Trail, and hanging out at the Durango Dog Park, living life to the fullest. Natalie had dreamed of having a Husky since she was a little girl. Lena captured her heart and quickly showed she had an avid love of snow, adventure and affectionate snuggles. Lena does have moments of mischief but she makes up for it with her howling, kiss-filled greetings. 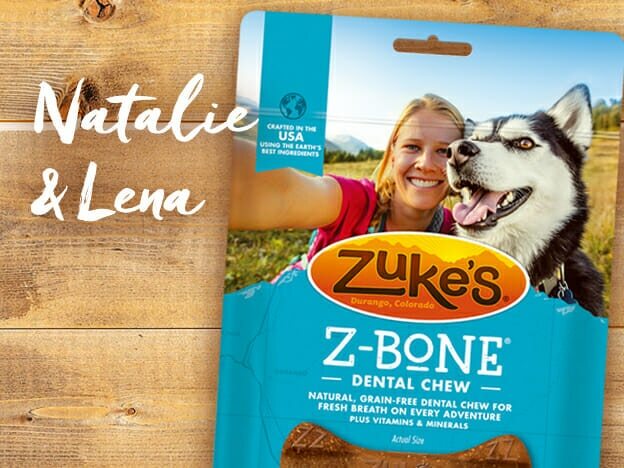 Natalie and Lena often head out for adventures in the nearby San Juan Mountains — in fact, Lena is named after the Lena Basin there. Lena loves hiking trails of wildflowers in the summer, chasing Natalie down ski slopes and playing in fresh snow on winter hikes. 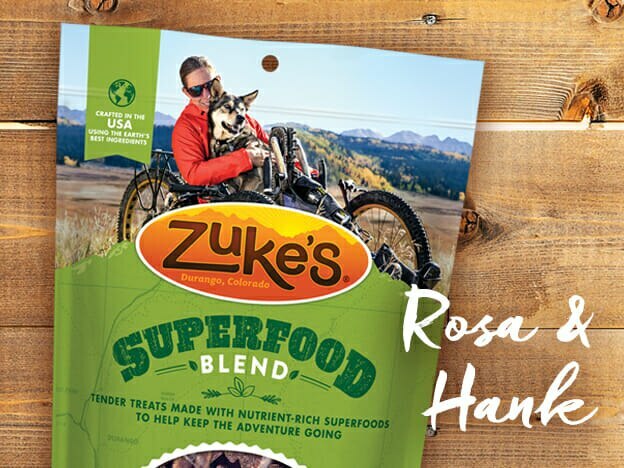 Rosa adopted Hank when he was a puppy because she wanted an adventure buddy for biking, skiing, hiking and all the other outdoor activities in Durango. She says Hank has taught her responsibility and patience and has provided companionship and love in hard times. When Hank was 6 months old, Rosa was paralyzed in a rock climbing accident. Hank offered unconditional love and support and now he and Rose continue to mountain bike, and hike together thanks to adaptive sports. Tank’s mom was rescued from a gas station in the Navajo Reservation and brought to a foster home in southwest Colorado. Susan and her husband were looking for a dog that could keep up with their active lifestyle and Tank was perfect. Every day they hike, run, or ski and Tank loves the Colorado mountains. His favorite trails are around Telluride, and also Ice Lake, Cross Mountain, Silver Lake, and more. According to Susan, Tank is also quite the snuggler and to start each day he lays (all 88 pounds of him!) across Susan’s lap while she has coffee.